I recently ambled down that dreaded but unavoidable path: the time to butcher my first batch of chickens. Certainly you can keep them for years as their egg-laying slows to a trickle. 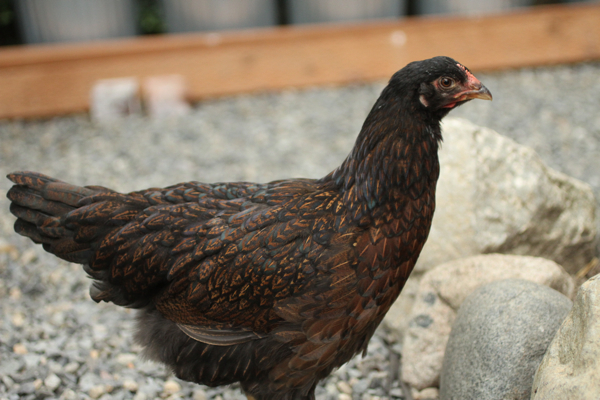 Our 'girls' cajoled and cackled their way into our hearts---from baulking each time we left or entered our front door to running after wiggly worms (aka chicken candy) to taking diva dust baths. It is without hesitation: we adore them. And they have affection for us, running to our ankles each time we walk by, waiting by the front door in case we let them in, looking at us each time we peek at them (how do they always know when we are near a window?). The next batch of chicks are out-growing their makeshift cages, ready to enter their grand new chicken-mansion. We don't love them yet. We watch them grow and they are flighty---they haven't been around that long and we usually engage them only long enough to switch out water and feed. I have butchered my share of chickens, enough to know how to handle it from start to finish. It is pretty straightforward, and the chickens suffer very little. Being a trained chef and urban farmer means I press myself to be comfortable fabricating animals. As a micro farmer, I see my girls as having a purpose beyond cute. I feed and care for them, they provide me eggs and when the time comes, I cull them and carry on with another set of hens. That being said: it took me a stretch of self talk to finally do the deed. I am a meat eater, and wanted to press my understanding of this food source. I am curious, realistic and appreciative of this cycle. I like the notion of raising my own meat and/or knowing the farmer who raised my meat. When I consume meat, I like to know what that animal ate. When I process an animal, I try to use as much of the animal as possible (e.g. bones and chicken feet for stock). Meat doesn't grow at the grocers---and I don't love how it is grown in factory farms. So I am increasingly, literally taking it into my own hands. But this part---culling my own girls---is by far my least favorite part. 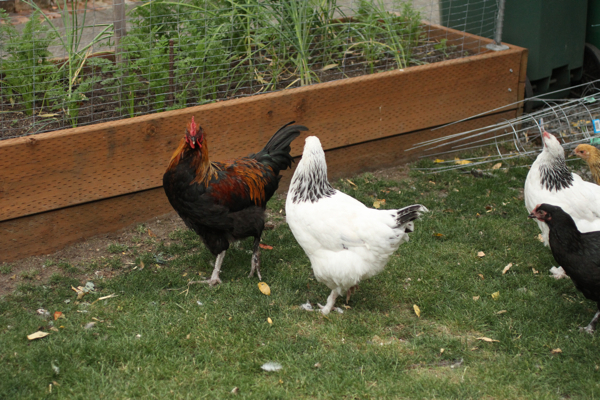 I once helped a friend cull his chickens (Joshua, co-author of the Urban Farm Handbook) b/c I knew it was important to practice and become familiar with the process. It is easier to help process chickens you never knew---and perhaps prudent to bring in friends for support when it is time to graduate your own. In this last year I have pushed myself to process rabbits, a rooster, a turkey and a deer. Each time I reach into the freezer, I am familiar with the who/what/when/where/why of that portion of meat (if not from me, then from a nearby farmer). I like that.